Vicki Bennett’s recent prints will be on show in this exhibition. 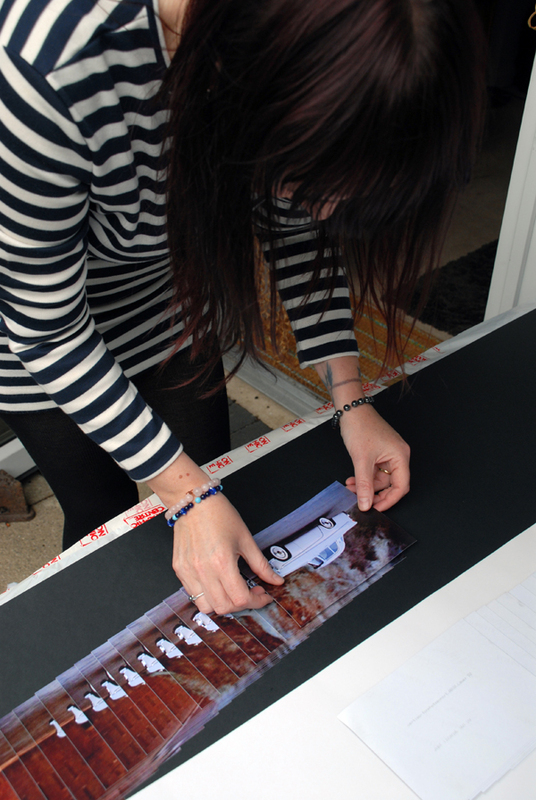 We have also lined up a Vicki Bennett/People Like Us solo show for Spring 2014. 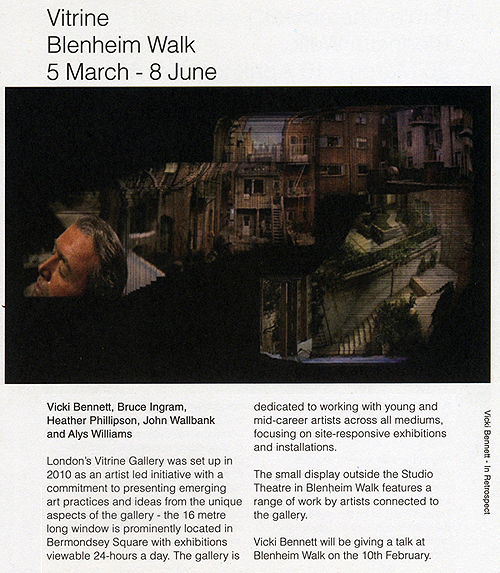 “Streetwalking” and “In Retrospect” form part of a new series of digital collage works included in Vicki Bennett’s forthcoming exhibition at Vitrine Gallery. 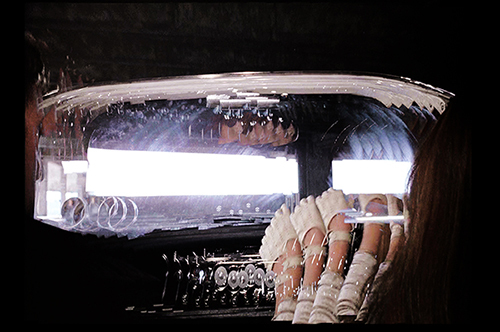 Bennett uses a unique technique to expand film scenes beyond their conventional screen ratio. The finished results reveal beautiful panoramic views of the background landscapes as captured by the panning camera, effectively allowing film scenes to be seen as never before. Bearing a relation to the British Vorticism movement of the early 20th Century, Bennett takes a Futurist approach to image making, attempting to capture dynamic movement with still images. She often utilises digital technology to apply analogue techniques and for more than a decade has used rotoscoping in her short films and live audio-visual performance to mask, cut and place objects elsewhere on screen. 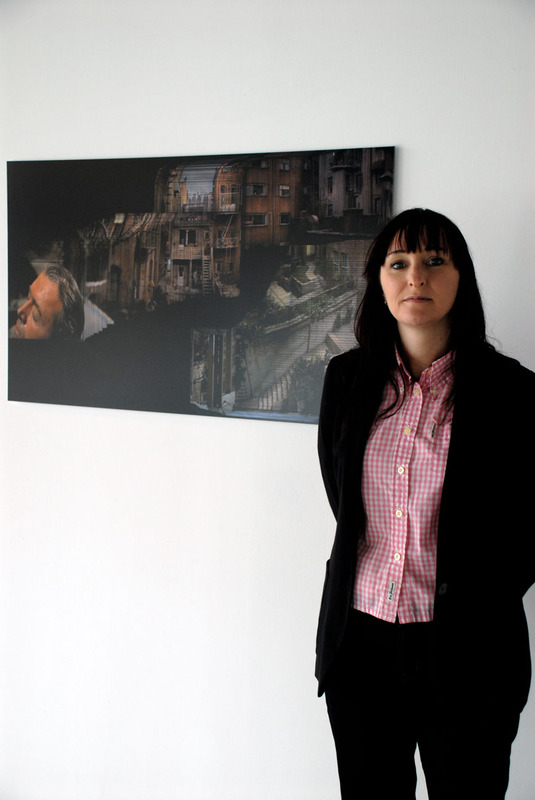 During her commission for The Great North Run Cultural Programme 2009 she developed the process for expanding film outside its frame and began work on this new series shortly after. 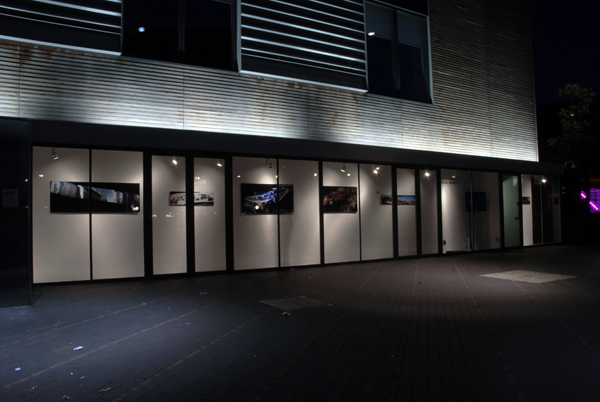 In Retrospect and Streetwalking are available as limited edition C-type prints. They can be purchased separately or as a pair. 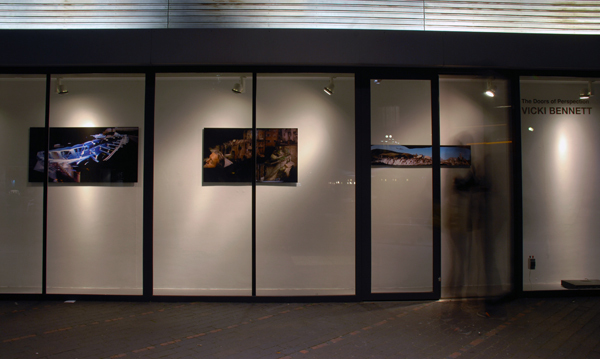 Here is some documentation of “The Doors Of Perspection” a solo exhibition held at Vitrine Gallery in Bermondsey Square, London, from July to September 2011. Prints displayed in the gallery window are still available in a very limited edition (please contact us), and two smaller prints are still available from Modern Empire, details here. 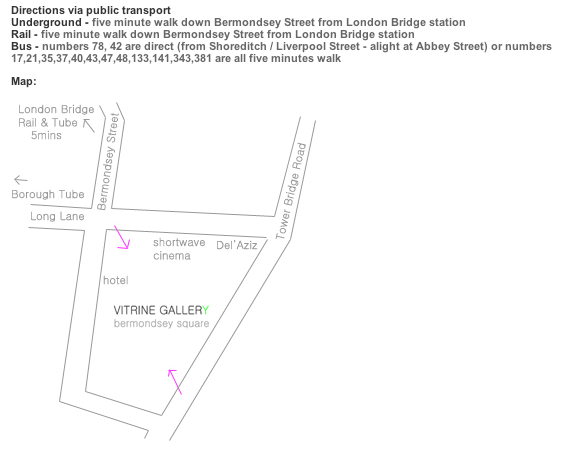 Fri 29 July – Sun 04 Sep 2011. Preview: Thursday 28 July 2011. 6‐10pm. 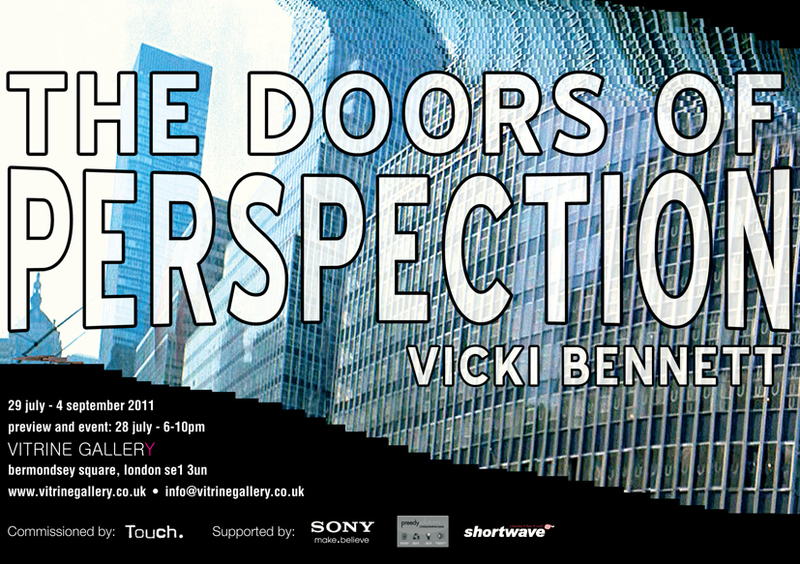 Vitrine Gallery presents The Doors of Perspection, an exhibition of new digital collage works by Vicki Bennett. 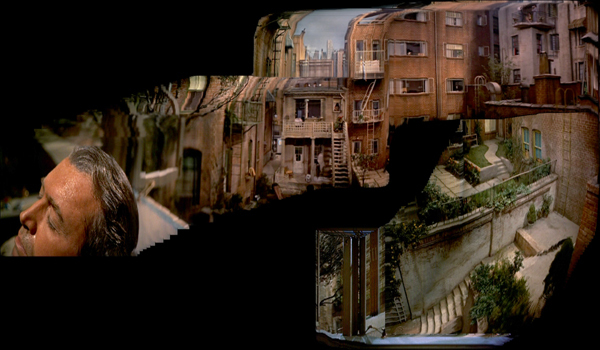 The works are created using a unique technique developed by Bennett to expand film scenes beyond their conventional screen ratio. The finished results reveal beautiful panoramic views of the background landscapes as captured by the panning camera, effectively allowing film scenes to be seen as never before. Bennett’s new works bear a relation to the British Vorticism movement of the early 20th Century, taking a Futurist approach to image making whilst attempting to capture dynamic movement with still images. Bennett often utilises digital technology to apply analogue techniques and for more than a decade has used rotoscoping in her short films and live audio‐visual performance to mask, cut and place objects elsewhere on screen. 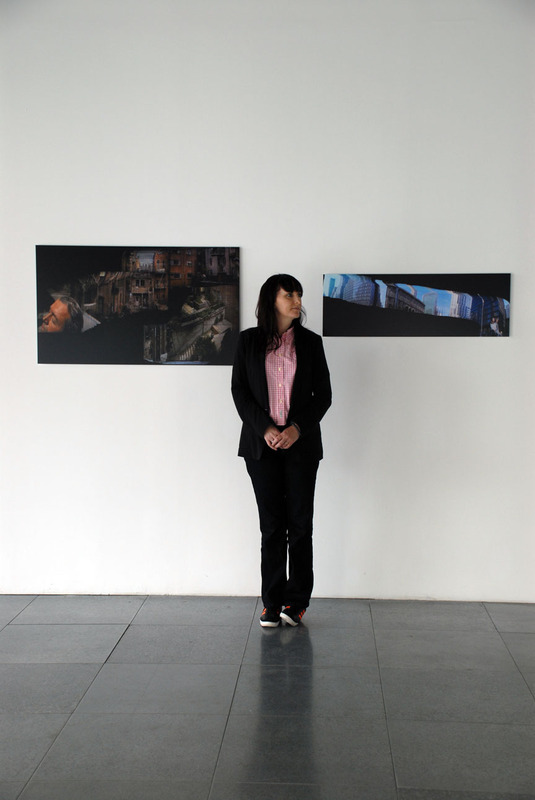 During her commission for The Great North Run Cultural Programme 2009 she developed the process for expanding film outside its frame and began work on this new series shortly after. Bennett is renowned for her audio‐visual collage, successfully releasing albums and touring her live performances under the name People Like Us since the early 1990s. Her Surrealist approach to creating moving image work involves subverting elements of found footage in order to create new meanings and connections. This is reflected in the titles of her works, albums and exhibitions, where letters slip around and one slight twist can create an absurd change of meaning. 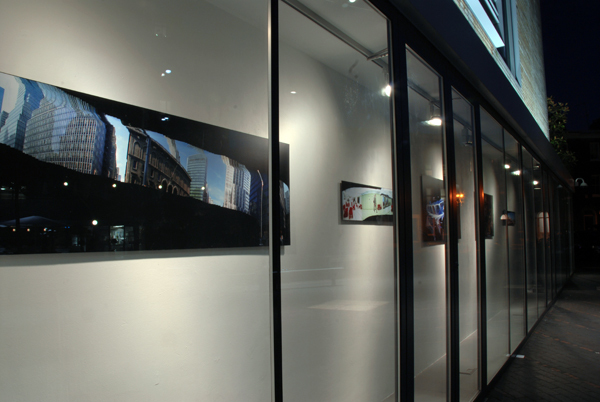 The Doors of Perspection is curated by Iain Pate. 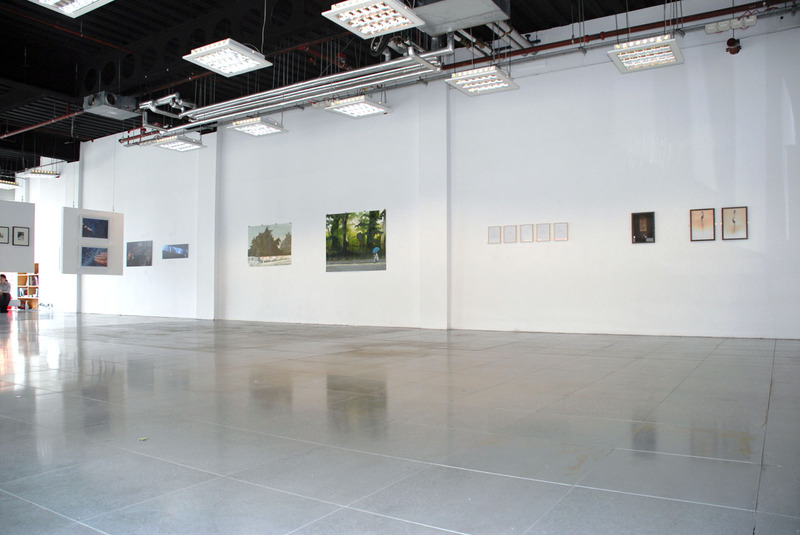 The exhibition is commissioned by Touch. Since 1991, British artist Vicki Bennett has been an influential figure in the field of audio‐visual collage, through her innovative sampling, appropriating and cutting up of found footage and archives. Using collage as her main form of expression, she creates audio recordings, films and radio shows that communicate a humorous, dark and often surreal view on life. These collages mix, manipulate and rework original sources from both the experimental and popular worlds of music, film, television and radio. People Like Us believe in open access to archives for creative use, and have made work using footage from the Prelinger Archives, The Internet Archive, and A/V Geeks. In 2006 she was the first artist to be given unrestricted access to the entire BBC Archive. People Like Us have previously shown work at Tate Modern, Barbican, Sydney Opera House, Pompidou Centre and Sonar, and performed radio sessions for John Peel and Mixing It. The ongoing sound art radio show ‘DO or DIY’ on WFMU has had over a million listen again downloads since 2003. The People Like Us back catalogue is available for free download hosted by UbuWeb. People Like Us are currently touring their live audio‐visual set ‘Genre Collage’ and a new album, ‘Welcome Abroad’ was released on Illegal Art in May 2011. Preview Event: Thursday 28 July 2011. 6‐10pm. 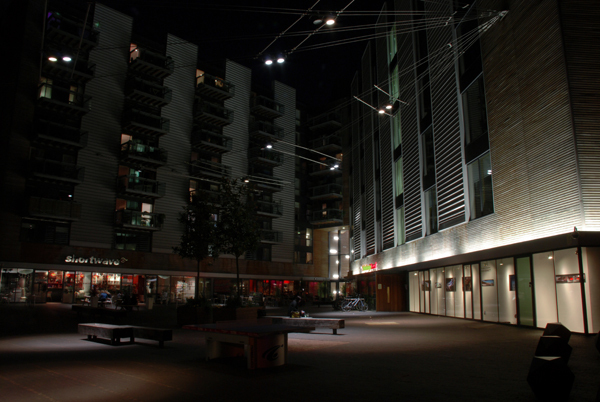 Shortwave Cinema, Bermondsey Square. FREE. A collection of short films by Vicki Bennett/People Like Us ‐ including Excerpts from “Genre Collage” ‐ will be screened on loop throughout the evening, with an introduction by the artist at 7pm. There will also be musical accompaniment provided by Osymyso and Mainwaring & Jurgensen in the bar. Please note: for overseas purchases please contact Modern Empire for a postage quote before paying by Paypal. mail@modernempire.co.uk. 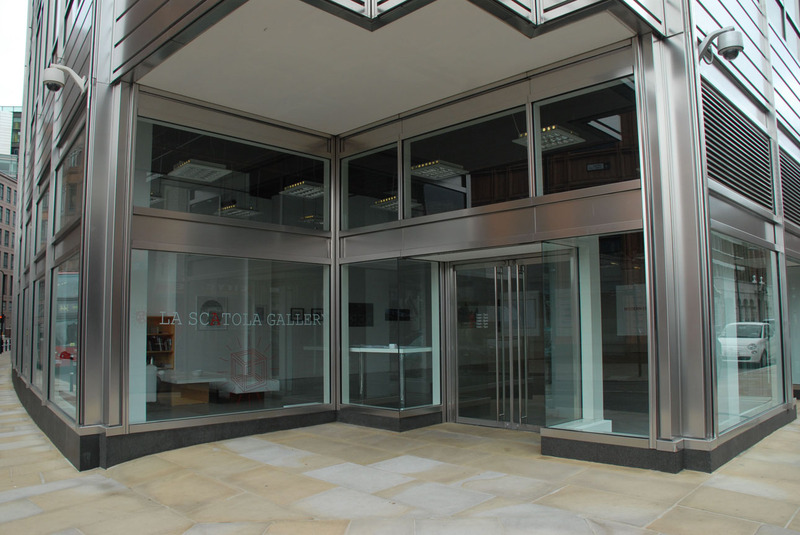 RELICA launches Satellite Vitrine Gallery, showcasing mixed media work by five artists: Edwin Burdis, Katherine Gardner, Ludovica Gioscia, Rennard Milner and Robin Kirsten. 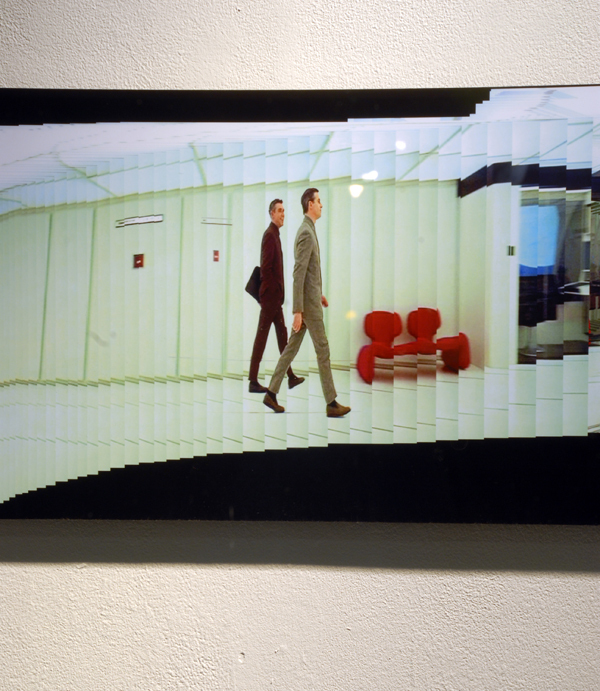 The show brings together works that use found media material re-imagined. 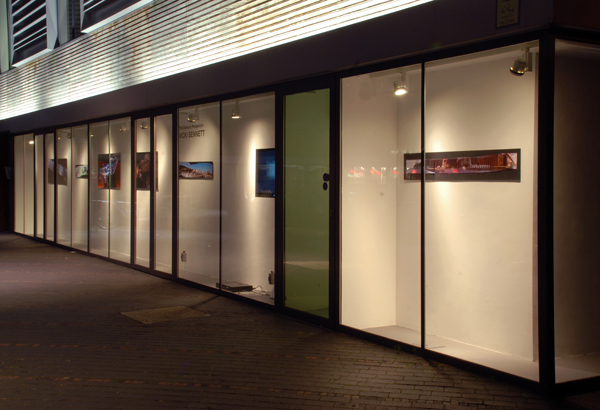 Satellite Vitrine Gallery presents a series of screenings, performances and music. 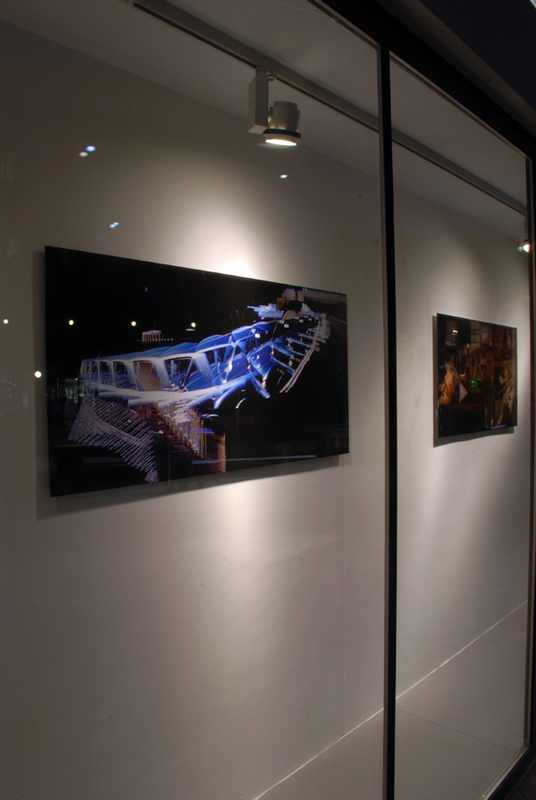 Works included use found media footage, creating montage from film clips, TV, lyrics and music; expanding the exhibition premise into time-based media. ‘GLUE GUN’ Screening with works by Andrew Gaston, George Barber, Noah Angell and People Like Us; artists who use found film, TV or internet footage cut, pasted and re-wroked. 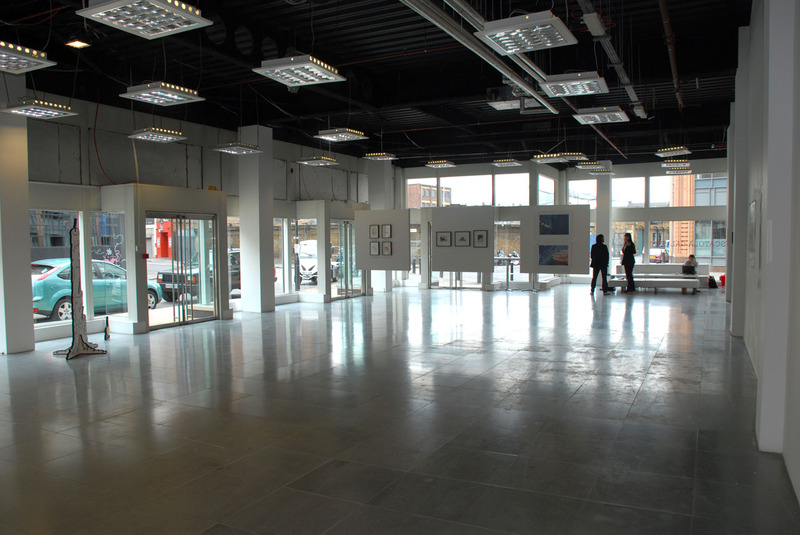 6 – 9pm: Private View & Performances by James Stopforth and Leah Capaldi happening intermittently. 9pm til LATE: Dean Brannagan and Natasha Rees will present a continuous, collaborative sequence of music, video and sounds that echo the themes of RELICA. Curated by Alys Williams and Katherine Gardner.